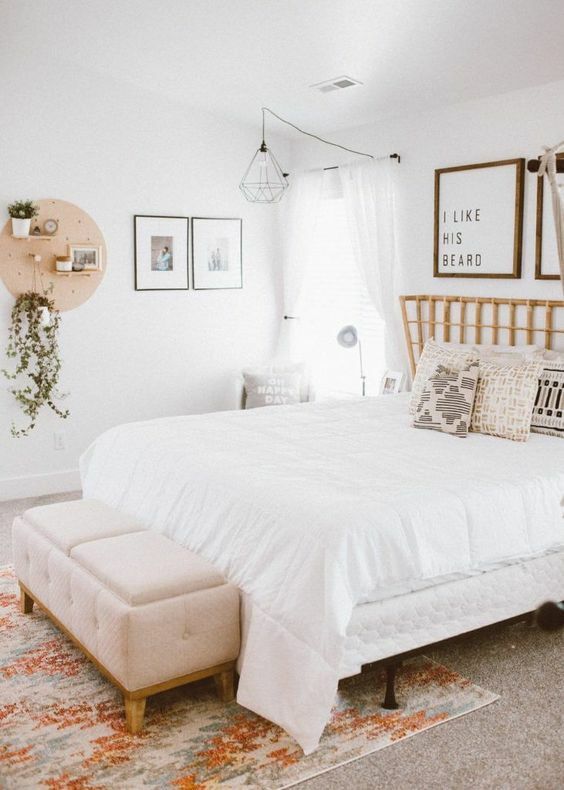 4 Teen Bedroom Design Ideas that Work | Havenly's Blog! Teen bedrooms present tough design challenges. Like Lara Jean’s messy room, every teen’s space in some way expresses their own psyche. Constantly changing style, the necessity of personal expression, and the function of both sleep, school and socializing all must be considered. As designers, we often get questions about design ideas for teen bedrooms. The truth is, a teen bedroom doesn’t have to be much different than a bedroom for an adult! But, we pulled together some of our favorite teen bedroom design ideas, just for you! Teens go through phases. We all know that. So, if your teenage daughter is loving boho right now, embrace that! But, create a neutral base that allows you to change your design direction. White or neutral bedding, a neutral wall color (or even a classic color like blue or green), and simple window treatments can create a canvas for personal expression. Add textured pillows and string lights, and your room is boho! If you get bored with that look, take the direction more monochromatic and suddenly the space feels sleek and Scandinavian. A neutral design canvas creates flexibility that’s perfect for a teen oriented space. Remember that a teenager’s bedroom serves several functions. Sleeping, yes, but also studying and entertaining friends! Be sure to incorporate a space to work on those homework assignments, but think about multifunctional pieces. Would a small table work better than a giant desk, or a piece that has a vanity mirror and drawers for makeup? Likewise for creating a “hangout” space. A bench at the end of the bed, or even a few fluffy poufs can take a space’s functionality to the next level. What teen doesn’t love personalizing their wall decor? Pennants, photos, and mementos all deserve a place of honor. Don’t tape them to your walls though- framing their treasures can be so special! It looks great and makes the space feel more grown up. Services like Framebridge even allow you to send in objects to be framed perfectly, without the search for the perfect size that framing usually entails. 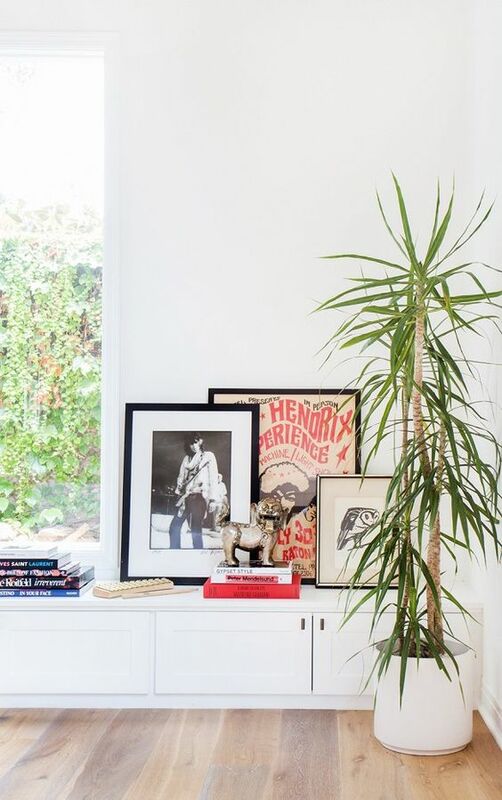 The best part about framing is that they can take the pieces with them as they grow up and move into their own places, without being embarrassed of their decor’s condition. There are plenty of “teen” specific furniture lines out there. But, don’t get trapped into thinking you have to shop there. Fundamentally, a bedroom is a bedroom. If your teen likes mid-century mod pieces, check out your local consignment store. 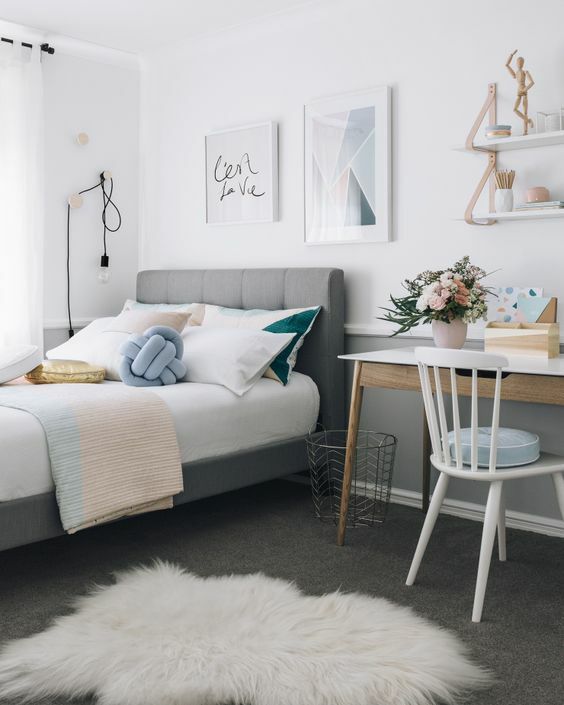 Furniture for a teen’s bedroom can be just as beautiful as anything you’d have in your own space, and actually might stay in use longer if it is. There are lower-cost retailers like Target or Wayfair that have gorgeous, grown-up pieces at very reasonable prices. If your teen still needs a little help making their space their own, Havenly can help.